Request a live, personalized demo with a Cherwell product expert. Work for Cherwell Service Management? "Great solution for my small to medium size business needs!" This system is so customizable you can practically do anything with it. Currently we run inventory, CMDB, portals, service desk tickets, and facilities. Customizations are difficult due to the need to hire someone who can do the customizations from a 3rd party. Support will only carry you so far, until you need to go that route. Totally expected... just hard to coordinate a 3rd party and support together. We found that our Facilities department was using an old outdate intranet driven form. We set up Cherwell to handle Facilities task requests as well, and completely modernized the process. We have noticed a large increase in response time, as well as completion within SLA metrics increasing. Everything in the system is configurable and it is easy to build new capabilities, even very complex ones. we were able to build HR functionality prior to some of it being released by Cherwell and then incorporated a number of new features (called mergeable applications) to short cut delivery of a number of parts of the system. We now use the systen across a number of areas, many of which are outside of ITSM. We love working with the company, they have a simple, no-hassle commercial process, very helpful and humble culture that is very customer-focused. I also really like dealing with the support team. I recently had a difficult issue where on first call we spent 45 minutes on screen-share and also conferenced in one of the developers who handles that area and resolved the call! I have had consistently great interactions with Cherwell. New features and capabilities are being rolled out all the time. Platform upgrades are painless despite really heavy customization. They are growing so fast that we have seen a fair number of reassignments of account people and others that we deal with. This is a pretty minor point though as new and old have been consistently good. Always start with a good understanding of your requirements. We took a look at where service management fit across our organization and it is paying dividends in a lot of areas outside of ITSM. Also, attend some user groups as the energy is very good and you can learn a ton from other users and even easily borrow configured custom solutions from one another. Our leadership has been very satisfied with out positive ROI within ITSM space, and for minimal additional cost we are also using CSM for HR, Contracts, and Facilities management groups. we use most of the ITSM modules, though not much of CMDB which will be a new focus for us this year. We have increased first call resolution greatly as well as portal self-service. we have better visibility and managers are able to understand the status and follow up appropriately to hold people accountable. Integration and automation of some ticket types has also created a greater efficiency that we continue to boost. "3 years of support with Cherwell"
The use of one step saves a lot of time and automate many processes for accounts management, mass closure of tickets, mass status change... endless ways of automation. Cherwell is very friendly and vey customisable tool. Very important tool if you want to take your support to the next level. I like how it ties in with our helpdesk, auto-creates tickets, inventory. It works well with our node name systems, and can tie in with Bomgar to help with our Remote Desktop integrations. I like how it ties in with our helpdesk, auto-creates tickets, inventory. It works well with our node name systems, and can tie in with Bomgar to help with our Remote Desktop integrations. I like how it ties in with our helpdesk, auto-creates tickets, inventory. It works well with our node name systems, and can tie in with Bomgar to help with our Remote Desktop integrations. I like how it ties in with our helpdesk, auto-creates tickets, inventory. It works well with our node name systems, and can tie in with Bomgar to help with our Remote Desktop integrations.I like how it ties in with our helpdesk, auto-creates tickets, inventory. It works well with our node name systems, and can tie in with Bomgar to help with our Remote Desktop integrations. I like how it ties in with our helpdesk, auto-creates tickets, inventory. It works well with our node name systems, and can tie in with Bomgar to help with our Remote Desktop integrations. Web client can be difficult to use, the formatting could be better. Sometimes the whole side is cut off when it easaly could be squished down a little bit to make it easier to use. Some times the inter face can be extremely slow. Cherwell allows you to customize pretty much any aspect of the software to meet your needs. There is a lot of automating that can be done that will help cut down overhead. The interface does not seem to be well thought out. It appears to be designed to make certain tasks easier, but it ends up having the opposite effect. Most of the time we need to call support to figure out how to do something since their interface is not intuitive at all and the documentation is lacking. Out of the box, the interface also looks very dated. Unless you have someone dedicated to graphic design, your self-service portal will end up looking like something from the 90's. The editor also has a very steep learning curve which should not be in the day and age. Most of their competition has drag and drop editors that are very easy to use while Cherwell's editor is overly complex. The knowledge base is also very lacking compared to its competitors. You must be signed in to view knowledge base articles which almost defeats the purpose as you want your knowledge to be as easily accessible as possible. You also cannot link directly to a knowledge article which again makes it harder to promote the knowledge base. Last, their update release cycle is lagging behind their competitors. There is only one update per year where most of their competitors are updating either monthly or even multiple times a month. Look into some other cloud solutions such as FreshService, Jira Service Desk, or Samanage along with Cherwell. Most cloud solutions are cheaper than Cherwell and much easier to use. We use Cherwell primarily for incident management. Out of the box it is capable of meeting our needs. The thing that I like best about the Cherwell Service Management software is the fact that tickets/incidents can be set to pending status. This turns the indecent a blue color so it is easy to see which tickets are waiting on a customer response. After a ticket is set to a pending status, it is then automatically resolved after two weeks if the customer has not added anything to the ticket or responding to emails. I don't like how Cherwell Service Management software sometimes can be very slow and can crash. It sometimes will log me out without a prompt. It is slow but it has a lot of useful tools and the search bar works wonders. The business problems that we have been able to solve with Cherwell Service Management software includes collaborating with the team by being able to see who is assigned to each incident as well as the full name of the customer--which wasn't something that our last software had on the front screen of the software, you had to actually open each individual ticket. The ability to assign tasks to others, and putting tickets on a pending status when you are waiting for something else to happen. Being able to see history of who did what helps with accountability. I notice small bugs every once in awhile with the software and report them to our admin team. Bugs such as not receiving email notifications for breaches, or receiving an email that a comment was made. Also the mobile app is not great. It is usable if you need the ability to close tickets out in the field right away, but it is complex to get to your queue, and it is very basic in what it can do. "Daily use of Cherwell Service Management"
The ability to sort the tasks based on different criteria, such as SLA, requester, and the ability to make notes in regard to the service requests/repair tickets. It seems as though I am unable to compile reports for printing. For me to print the information that I need, I have to copy and paste it into Word, then print my tickets. Also, I do not see a way to reopen tickets that I have closed in order to make edits or additions to the ticket, or make new notes to an existing ticket that will help another technician in the future. Assess all of the functions of the software to ensure that it meets your requirements for the scope of your business. I am resolving service requests and repair tickets in a public school system. One of the benefits of the software is being able to assign tasks and tickets to myself, as well as transfer them to another user if necessary, and to do time tracking. "Cherwell SM has become a perfect replacement for BMC Remedy"
Cherwell has tons of features that every ticketing/service management system must have. Besides, it can be customized to anyone's liking and provide powerful reporting and incident visibility. It has many custom fields for incident resolution, categories, contacts etc. Availability of KBs, Active Directory tight integration, Skype Conferencing, Bomgar support among other features that stand out when comparing to similar systems, especially BMC Remedy that we used for long time. It is faster and more modern than our previous ticketing system, but still laggy at times. Also, some incidents (records) might become locked and you can find yourself in an infinity loop of warning/error message windows. Built-in screenshot viewer would probably be a better idea then using external viewer. Cherwell has a logout/inactivity timer which can be annoying at times. Creating a service request could have been more straight forward - currently it requires to create an incident and then depending on what team it will be assigned to, it will automatically change from incident to service request. It's still a good idea to review other alternatives such as Jira or Kasea, but Cherwell is definitely a very stron candidate if company is interested in following best ITIL practices. Cherwell SM is used to handle day-to-day tickets, change requests, and service requests. Due to its easy of use and intuitive interface, it has been in very short period of time by all IT folks as well as end-user base. I like the workflow operations. The customer I use it with has it setup in a way, and I would assume is the same for most, where simple links and pop-ups take you through the necessary steps and fields to fill out so there is no guessing. All steps are logged and are easy to get to. Email notification is clear and convenient. Dashboards are clearly labeled and there many different aspects can be managed for ITSM standards including tickets, requests, change control, critical incident status, and reporting. The right side of the UI is where you will find tabs for additional information such as Notes, automatic Journal entries for change in the ticket status, etc. However, the format is odd in the sense that frame these tabs are in is not dynamic. When you click to a tab that is perhaps on the far right of the list, you have to scroll the frame over to see that content, as if all the data was on a very long file. It would be nice if the content formatted centered and view able when you select a tab...like an Excel sheet for example. Searching can be a bit clumsy as well. If you create a search and get all the data you want to see you can export it, but then have to choose your columns for the export again. They do not automatically mirror the on screen query. Solves ITMS platform related needs. Ticket routing and re-routing and notifications. "Review of Cherwell Service Management software"
What I like best about Cherwell is the change tracking abilities. You are easily able to go back and look at everywhere the ticket or request has been and all notes and that is useful for problems that take an extended period of time. I find that the interface is not that user friendly. There is a learning curve required to get used to Cherwell and many training videos which is not ideal for something that should not take up much time in my day. I also dislike that tickets are locked automatically because many times the person that locked it does not realize it and the one it needs to go to cannot update the ticket causing a delay. Take time to learn the software and then it will be easy to use. Learning as you go is not recommended. We are solving general service requests and problem tickets. It is useful in tracking problems until they reach a resolution. Tickets also appear as aged after a period of time which helps us stay on top of them if things are busy. "Really solid. Requires a whole lot of configuration"
Cherwell is a great ITIL ITSM based tool. It does have a whole lot of functionality that drives right back to the core service management suite of ITIL. What do I like best? I think the extensive integration that it offers. From service request and incident through to change management, configuration management, impact analysis, and the workflows that can be built to allow these. Reporting is really good, and very flexible. I really like those pieces, as well as configuration item tie-backs. It requires a whole lot of customization and administration. There are some goofy things like numbers being represented as text in some fields, which can break some related ETL type processes, as well as sorting, field customization etc. The limitations it can present are very frustrating especially when integrating with our products and processes that are parallel in nature. I would say "it doesn't play well with others!". However, it is a complete suite by itself. Be prepared to fully commit, and do not shirk in applying the right resources to this. It can do a great job in general, but you must be willing to fully commit in order to maximize your benefit. IT Service Management - ITIL based incident and request management. Some benefits have been improved customer experience, better metric management, improved reporting tools - lots of benefits. Change Management - successfully implemented! Formalized processes that allow us to do a better job managing our environment. Its a good tool in general. "Not as Great as Promised, but Exponentially Better than where we were"
Cherwell provides great framework for a ticketing system. Excellent means of tracking, stats, and potential for growth in many areas. If you have never used a service management tool before, Cherwell will blow your mind with possibilities. If you have, there are excellent potentials here and very good things. Unfortunately, the bad almost balances out the good. Cherwell reports are a joke - insanely complex to the point that even our coders/programmers would have to dedicate themselves full-time for weeks to build adequate reports. Anything visual is clunky at best, idiotic at worst. Building dashboards is like working in Microsoft Paint but having to jump through query hoops along the way. If Dashboards could function more like HTML that wouldn't be so bad, but instead you have to work within a static environment - dashboards don't scale to different resolutions and aren't dynamic at all. It's incredibly difficult and limiting in an otherwise unlimited system. Cherwell gives us the ability to meet all the problems we had. The only issue is that a lot of customization is required. It's the best and worst aspect of the product - unlimited potential, but only if you work hard on it. If we had a large staff to dedicate to the software, we could grow it faster and better but as it is we have one database administrator buried under frequent "update requests" from our internal users. Cherwell the company promised help - over-promised - and far under delivered. Our database administrator figured out the product better than some of their "top experts" within a couple weeks. Lots of bugs and impossibilities. Not user-friendly out of the box unless you have never used a service management tool before. We were using an outdated system with outdated processes. Human error was a large part of any issue or miscommunication with customers. Our previous system was not scale-able and was difficult to update. We also had a lot of customization so outside help was nonexistent. Creating and gathering statistics and reports was impossible. Cherwell gives us the ability to meet all the problems we had. The only issue is that a lot of customization is required. It's the best and worst aspect of the product - unlimited potential, but only if you work hard on it. If we had a large staff to dedicate to the software, we could grow it faster and better but as it is we have one database administrator buried under frequent "update requests" from our internal users. Dashboards are easy to create and provide the type of information we need to run our IT department effectively. When we need to make changes to the interface, add new fields, or do an upgrade, all of this can be done without needed to work with developers, we do it ourselves at the Service Desk. Nothing stands out for me. I wish we had more time to spend creating dashboards and reports! This company is focused on bringing about the best ITSM system. They work with the user community and implement our ideas and act on our suggestions. Analytics is the biggest improvement for us since we moved to Cherwell. I want to know our biggest pain points, to help us concentrate on fixing the right things and with Cherwell have so much more visibility then I have every had before. We have been able to mature our IT processes for efficiency and quality of data. We are just getting started and can see so much more we can do with Cherwell to improve our processes. "A Good Tool if Implemented Properly"
The various ways the software can be customized to fit organizational needs is fantastic. Our development team has a plethora of options at their disposal to tune the tool for each sub-department's needs. The ability to customize is unfortunately also a double-edge sword. While the tool has been customized to each departments needs, there is little direction on workflow. For exam, if a ticket originates in Helpdesk that requires the attention of an administrator in Computer Labs, which turns out to be a hardware problem and parts need to be ordered for the PC Service department, the flow of the work order from point A-->B-->C-->B-->A is a little muddy. This is likely a design issue on the part of our development team, but it might help to have more resources available such as examples of workflows with other organizations. Cherwell is an excellent tool, but it is not one-size-fits all. As mentioned before, this can be a positive as well as a negative. Make sure to have a road map laid out and be communicating with all departments implementing the software during the design phase. If we had to do it over again, that would be our emphasis. Cherwell was implemented to replace BMC Remedy. Our IT department consists of the following: Helpdesk, Desktop Services (Faculty Support), Lab Services (Support for 30 computer labs and 300 computer-enabled classrooms), Application Virtualization, Network Engineering, Systems Administration, IT Security, Telecommunications, and Application Development. Cherwell equips us better than Remedy did in passing and tracking work between these departments. "Flexible, configurable request management system"
Cherwell is configurable and allows you to collect and manage the information you need for various types of requests. Requests can be created from e-mails sent to an alias, which is extremely easy for employees. The thick client is more robust than the web client, which is fine for those in the office on their computer, but for those who need to work via a mobile device or tablet there is limited functionality. The development for changes are mostly by making changes to "blueprints", which doesn't make it easy for more than one person to make code changes at a time. It can be done, but you have to make sure you don't step on each other's toes. Backing out changes can be challenging or impossible (in many cases it's like pouring two cups of sand together and then trying to put the grains back in the cup they came from). Cherwell helps us manage over 10K requests a year, as well as manage our problems and changes. The reporting is very flexible and there are dashboards to visualize the data. It took professional services and then dedicated resources to manage the system, but it has been good overall. The Cherwell staff is helpful and nice to work with. "Using Cherwell for ITSM Time for Project Management"
Service deliver and accurate tracking of time for various resources for all related projects and time tracking/resource management tickets and for change orders. Setting up views should be a little more straight-forward. More self-service tutorials should be embedded in the product. If they are, make them easier to find. I have worked for companies using Solarwinds, Salesforce, and ServiceNow. I like this product but I believe ServiceNow and Solarwinds were a lot easier to navigate without a lot of training. We are able to track time and resources for all projects, so long as the people who are assigned to the projects accurately track their time on a weekly basis. We're only given seven days to track time, maybe we could space that out a bit further. However, this may be what our enterprise requested for their own reasons. 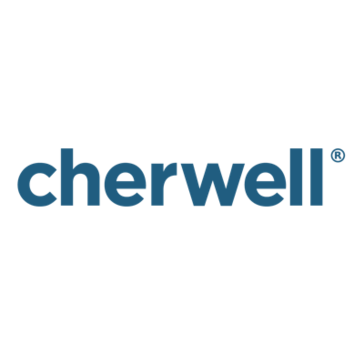 "Great product for Service Desk/IT functions"
Cherwell has a multitude of features and functions that would allow for almost any organization to use Cherwell for their needs. There are only a few things here and there that I wish were improved. Nothing so far to really dislike. CSM has a huge library of features that allow for most organizations to setup and process what they need. IT allows for easy communication from teams to users and keeping info consistent between teams. The administration of CSM is a bit hard if you're a first time user/admin and don't have any previous experience. But after setup is done and the user becomes more familiar with CSM, the administration of CSM is alot easier to understand. Communication from teams to users. Communication from teams to teams and consistent information for user issues. "An excellent tool for managing and assigning tasks"
It is easy to see at a glance what tickets are assigned to me and what has yet to be resolved. It's a little clunky. Even after the learning curve there are things that just don't behave the way that it seems they should. For example having to scrollbthe window down to set an issue to pending? There is plenty of empty space above. Trouble tickets are entered and get assigned to someone to resolve. It ensures that multiple people are not working on the same issue. It also gives a central place to document how the issue was resolved so that if the same issue occurs in the future we can save time in knowing how to handle. "Great product and dynamic if properly prepared/trained "
Implementer experience varies with company and personnel. Would love if Cherwell offered implementation themselves. Request for training before beginning anything. A common issue with a lot of businesses that go with Cherwell is they receive training from their implementers after they've begun implementation. The training contains the basics needed to "know what you don't know" and build a successful Service Management tool from the ground up. Accountability for services and incident management and establishing service level management. It had helped us get a better understanding of our services and add metrics to prove value for teams and request need for lack (training, staff, resources). The team who presented the software did a great job. They were able to answer almost all of our questions. The software is very easy to configure for small to medium size businesses. I did not like that I could not get more time with them. But it wasn't because they weren't available, I had to get back to work. It may seem overwhelming at first, but as you dive into the product and examine how it will be used, there are many other depts who can take advantage of the service. Converting to Cherwell we are hoping to get the knowledge base up and running, and create more automation. "Excellent company to deal with and the product is awesome Have used it for 3 years now." Company really cares about its customers. They continue to upgrade the system based on recommendations from their users. Upgrades are painless. The system is codeless so I thought there would be limitations on what I could make it do but that is not the case at all. The training could have been better but Cherwell has made training a priority over the past year and offers may more training opportunities now. The tool is so easy to use that you could figure most of it without training but for in depth development some of the tools require some training. They come out with updates too often. Talk to other customers who have Cherwell. It really does everything the sales department says it does (and more). I was worried about it being codeless but I have been able to do everything I have wanted with it. I have talked to other users who have done truly amazing things with it. We use it for IT, facilities and nutrition services departments and integration between departments is painless. We are extremely happy with our purchase and look forward to a long relationship with Cherwell. "Easy for beginners but the depth is amazing. " From the first time I used Cherwell, I was surprised at just how simple it is to use. I am not a programmer and I was able to get Cherwell setup for my Service Desk. Once the basics have been learned, I found that the depth of this tool is bottomless. I have a member of my team that is now using more in-depth programing. I wish there were more themes that i could apply to the overall tool. The change over to this tool is so easy. if you are not happy with your current solution, this change is a no brainer. We are using it for Incident and Problem management. CMDB and Change management are planned in the future. "Easy to use, excellent development/release management capabilities." Overall I like the modern look and feel. The features of this application exceed anything else out there in the market space. With careful planning you can have a tool which actually supports a service desk instead of inhibits it. The system can be very complex especially when it comes to SLA calculation and customizations. Trying to figure out how to make changes to the system is not always the easiest and the bugs are not always easy to spot. This is the best ITIL Service Desk software out there in my opinion. After reviewing other software which is out there CHerwell has the most modern look and feel. The features are a reflection of this. Overall the software is easy to develop for however it can be TIME CONSUMING. A simple task of creating a form can seem simple and easy but the codeless solution makes really simple tasks time consuming such as conditionally adding a border around a required field or making other fields appear if they are required. Overall it is easy to use which is a huge plus since you can develop the system yourself but be prepared for a huge learning curve and lots of time. We migrated to Cherwell since INFRA Enterprise was discontinued. This installation is a continuation of what we achieved in the INFRA implementation. We were able to have a fresh start and implement ITIL in a way which utilized our previous experience to work well for us. "Amazing ITSM tool that is simple and easy to use"
Cherwell SM is easy to use, easy to administer and maintain, and is a breeze to get up and running. So far, it has scaled fairly well in our organization, and has been well received across the business, even outside of IT. The ability to customize CSM to meet our needs is really easy. Additionally, the upgrades are simple and require very little rework. While CSM is very easy to implement and configure, the integration points with other systems like SCCM, TFS, and other push tools would be highly desirable. Depending on volume of users, some users dislike the amount of time it takes to launch and load all definitions. Work with the technical teams to ensure there is a full understanding of what your current needs are, and what your future direction will be so you can ensure all. CSM is used for Incident, Problem, Change, and CMDB. It is also used by other areas of the business outside of IT including Legal, HR, Client Relations, and more. We have also integrated Bomgar with the Help Desk, and this has provided seamless integration and support functions for IT. "Cherwell Service Management is an administrator's dream!" The ability to implement changes to the structure of the product on our own is invaluable, in terms of flexibility of functionality and timetable. We are able to do what we want when we want, and that is pretty fantastic. Sometimes, it is a bit challenging to see what changes have occurred within a blueprint, although recent versions have mediated this by marking changed areas with an asterisk. Still, it would be nice to have a Preview mode. Additionally, one will often hear that there are about six different ways to solve an issue in Cherwell, and this is no exaggeration. Sometimes, you will find you will need to go down layer by layer only to discover that your potential solution is not the best one. It is best to keep notes on your blueprint changes as you go, ensure that you use tracking methods to keep your blueprints in order, and make sure your developers are communicating early and often about changes they are making, so they do not step on each other. As a result of our implementation, we have seen better process management, better workflow management, higher customer satisfaction, increased accuracy regarding CIs, higher levels of knowledge sharing for incident solutions, and increased communication amongst teams for all aspects of incidents, alerts, and change requests. "Awesome tool that helps you bring areas of IT together as well as areas outside of IT." Overall it is a great tool! The only items that I really think needs improvement in Cherwell is that of their mobile access. Currently their mobile application is very limited and all the customization, and simplicity of the tool goes away. Have a Cherwell advisor help with the implementation of Cherwell, the tool is really easy to manage but having that base structure setup and a good framework on how to do things help a lot in the long run. We are currently using Cherwell, for project tracking, incident management, request management, problem management, application tracking, and Change management. Cherwell lets us have a simple and quick way to analyze, sort, and represent the data. "Cherwell has changed how I view ITSM tools "
Right out of the box, Cherwell provides the tools needed to successfully run and maintain CMDB, Change, Service and Help. The user interface for the Client and the Admin tool have a similar Windows feel to them so the navigating learning curve is minimum. Honestly not much! I continually find myself thinking "Glad they thought of that right out of the box" The only enhancement I would like to see is in regards to the Browser client. I feel it needs to have some additional functionality added to it, for example the Task Pane. If you are thinking of making a switch to an ITSM suite of tools, do yourself a favor and ask for a demo and perform a proof of concept and see for yourselves how Cherwell can make your job easier. We are solving Asset Data completeness and correctness with Cherwell using the CMDB portion of the tool. We are moving towards Change currently and again very pleased how right out the box the products delivers. Cherwell really listens to their customers and develop new cool functionality into their products based no that feedback. Easily setup automated processed and workflow execution with an easy to understand GUI. Cherwell mainly focuses development on their thick clients leaving their browser client, portal and reporting wanting. Losing the functionality for creating joined views and database triggers in the their SaaS product is a major limit. Security also needs a redesign as it is very cumbersome. If you have the infrastructure go on-site. you may not use the advanced database function out of the gate but you will slowly learn the benefits of creating joined views and triggers. At current, we worked with our business to include all of the companies product offerings into the CMDB and map all of the infrastructure that supports those products. The difficult part came in the dashboards and reporting as the business was not really interested in just numbers, they wanted to see lists of the products in different categories not in grids. After, utilizing some of the learning videos that Cherwell offers we learned how to use the 'action catalog' widget to columnize a list of links to products by name fitting a certain criteria and displaying that in a Portal Dashboard with user variable filters for some of the criteria. This allows the business to filter products by their sales region and further broken down by strategy at any time. "Upcoming player that's flexible and powerful"
Flexibility of the dashboards, so each team can have their own, and the easy-to-use "journals" to use for actions taken on tickets. Was a bit finicky on the .NET version I used. The latest update for .NET 4.7 (published 1/10/18) crashed Cherwell's SM client. I had to uninstall them to get it to work. SPEND THE TIME to plan and do this right. We sped things up, and there are a few (easily fixed) configuration items we were missing. We can now properly document and track multiple types of tickets, and move them between teams as necessary. Project management is already a HUGE boon! The flexibility to expand and create anything you can think of to help your workflow. If a module does not yet exist for tracking what you need, you can easily build it! My only minor complaint is that there is no Macintosh native application. Things can be done via the web, but the parity with the Windows Client is not quite there yet. Widely distributed users and techs. Our company has several thousand users all over the USA, and our IT support staff are in over thirty locations including India and several US cities. Using Cherwell allows us to collaborate easily across the different locations and time zones! "Lots of features and reliable, but some UI oddities"
The fact that macros can be created by each user to speed up the process of creating/updating incidents/service requests and IT work orders. Make sure you have lots of trainings on how to implement and use the tool. If you do not implement it correctly or do not use it correctly, you will not get the true benefits from switching to Cherwell. Our 24/7 IT Support service for the University uses this to manage tickets. Other colleges can opt-in and buy the product to integrate their own users into the system. The best feature is the company itself. You can see that the people at Cherwell believe in their product. The quality of support is outstanding and the development of the product is clearly customer driven. As a long time customer, I can say the quality of support has only improved. Sales in particular has been a consistent source of help with regard to providing verifiably honest (!) information about the product including weak spots and how and when they are addressed. The Agile approach to releases has also been a great improvement. Minor releases come out about once a month and are much easier and faster to test. -Compared to other leading solutions documentation leaves a lot to be desired. -The web client (as of version 8.0) is improved but still not as capable as the full client. The market for solutions is crowded and is constantly changing. Evaluate the solutions that meet your requirements. Cherwell met all of our requirements and the simplicity of the licensing and pricing put them in first place. The sales team did an outstanding job and are still involved five years after the sale. We've implemented numerous ITIL processes with Cherwell and have been able to track significant improvements in customer satisfaction. The dashboarding, metrics and reporting capabilites in addition to the simple license model have made Cherwell our choice for federation of data from multiple systems for surfacing data. I'm glad that it has an established local client as well as a web interface to meet any of my needs regarding a ticket. The UI can sometimes be unintuitive for large tickets that have had many users interaction with them. There's not a clear way to merge tickets that are related to the same issue. It's a centralized space for all service requests and allows management to easily review some of the extra work employees take on in addition to their day to day duties. "It works but it's clunky and slow"
Highly configurable. Has web access. Has a mobile app. It is secure and it is good at providing a thoroughly formatted form of documentation for all different types of business needs. It is a very large application and uses lots of computing resources. Especially uses lots of devices RAM. The software isn't visually appealing at all and requires heavy setup to be efficiently used in a business environment. Make sure you have a proper set of people who can help configure the software to fully fit your needs. IT related needs. We realized the need for a reliable ticketing system for our customers. "I've been administering Cherwell for the last 4 years." Cherwell's CBAT platform allows me to create new functionality without coding. I can do just about anything with it! When you upgrade, it's seamless, which I love! The only thing that I'd like to see is an easier way to take advantage of new user interface features after upgrades. But they are working on it. Challenge your vendors on how easy/difficult it is to configure new functionality in their products. How difficult/easy are upgrades? Cherwell wins hands down and is priced well to boot. We use Cherwell for incident management, asset management, knowledge management, change management and use its configuration management database. Cherwell provides a common platform for these key business areas, which allows us to provide service to our customers with a similar interface and integrated database. "Great tool to track and communicate incidents and bugs"
If you want your user base to use a client service portal, this is the technology to use. It is user friendly for technicians while packing the punch of much functionally. We have multiple teams, Production support, QA team and super users that need to track incidents on the project and record change requests. Being able to add tickets and assign to members of the team and build customized dashboards has helped us meet and discuss all the issues. "Cherwell has completely enhanced our ability to deliver Legendary Service! " The system is self seems pretty limitless and if you have a resource available to learn it then things will be amazing. I highly recommend sending a resource to the admin training and also having them get very acquainted with Cherwell University. We have successfully built 2 new objects (Work Order, IT Time Tracking) with our internal resource and things are going very well. This tool could very easily span across the entire enterprise because it is that good. The Mapps program is probably one of the most innovative ideas ever brought to an ITSM system. It gives you the ability to publish and share new objects and operations that other Cherwell vendors or customers have built. Cherwell also has a dedicated group that follows your progress to make sure you are continuing to get everything on your road map completed as you had planned. We really haven't found much that we don't like with the system because it is very powerful. I hope to see them continue to enhance all of the modules especially the project module. To have everything under one umbrella could be a huge asset but we are having trouble selling that module to our PMO office. I would like to see Cherwell offer more design workshop types of classes since they have resources that are experts in ITIL processes. The last thing is think they need to continue to grow their professional services areas to meet the growing needs. Scheduling seems to be a tough in you need something quickly. We had to farm work out to one of their preferred vendors. The 2 vendors that we have worked with (beyond20 and Excaliber) are amazing! This is a great product. Probably one of the best available. I am excited about the future. Customer Portal for customers to track progress. Build by folks that understand Service Management. Comes with lots of Out of the Box functionality per built. Super reliable and zero (cloud-based) administration. This product does require lots of custom configuration using its out propriety toolset. Knowledgeable resources are scarce and pricey. Full featured IT Service Management Tool. Low cost of entry because of the cloud pricing structure. Does require lost of configuration and the vendor has limited professional service resources. Third parties are available but are pricey. Significant and measurable Help Desk productivity. Management reporting that was not possible before the Cherwell implementation. "Great solution for quick application development"
It's codeless. I've built applications with Microsoft access and File Maker Pro and find Cherwell the most intuitive. Difficult to say since I've been only using it for a short time. I have a kind of a love hate relationship with one steps, because of a looping problem with a scanning feature I'm using. BUT I DO NOT THINK IT'S FAIR TO SAY IT'S A DISLIKE. I may just need to think a little bit more out of the box. It's codeless, so trouble shooting issues is not as complicated and development is MUCH faster. Asset management. We are using it for other departments other than IT and tickets. AHS is using Cherwell to manage contracts, finance and HR. This company was always easy to work with and listens to their customers. The platform is truly code-less and allowed us to move the major development work back down to the Service Desk instead of having to eat up time from our development team. You can change almost anything in the tool and the upgrades are so easy since they don't change your content. The new mApps feature is a great idea and something that will move Cherwell into the future. The only complaint that my team has is that the tool can be a little slow to wake up if you let it set inactive for a long period of time. Most of my complaints or issues have generally been resolved after making feature requests to the development team. As I mentioned before, they do listen to their customers. Find that tool that fits your environment. Do your research and compare the tools closely before making a decision. I like the fact that Cherwell treats you like family and is much more responsive than most of it's larger competitors. We currently use it strictly in IT but are working with other teams that have shown interest in using our tool. This has been a great way to make our customers aware of our standard services through the portal and the dashboard functionality has made it extremely easy for our managers and directors to get an immediate view of how their team is doing. "Total Cost of Ownership is the Best in the Industry"
The intuitive nature, ease of use (end-user, admin, dev) and innovative approach is amazing. The Total Cost of Ownership is far superior to the rest of the industry competitors. The current challenge with coordination of multiple admin/developers making configuration updates. The good news is that this is known and currently working towards resolution. Speak with current customers and learn of their experiences with Cherwell. We strongly considered ServiceNow, but ended up selecting Cherwell. The experience has been very positive, with our CIO receiving great feedback from board members and senior executives. We are a 20,000 person strong company with over 400 sites world-wide. This platform is crucial to our IT Transformation path and true Enterprise Service Management. "I am the main Cherwell Administrator. We have been using the product for one year." There is a need to budget for vendor support annually. In addition, any customization is just like any other application development; it ends up taking twice as many hours as planned for. We are currently working on a custom Service Request workflow called 'Access Request' used for new employees or employees who transfer departments requiring access to databases, network shares, etc.. These requests go through an approval process from the data owners. We are also working on a custom version of the Project tracking module. "Works the way you want it to work"
very robust ITSM tool that should provide everything a service desk needs. This is not the easiest software to figure out. Customizing it requires a specialist. Very robust. If you need something simple to ticketing, this is not what you should be looking at. ask a TON of questions before buying. We were told they could do something, when they clearly could not. It is a robust system and may be beneficial to large clients. Helpdesk and Change Management tracking. IT Asset tracking and purchasing. "Cherwell Service Management - An easy choice"
Its easy configuration and upgrade resiliency is helpful and reassuring. The Dashboards are also easy to use and replaced most needs for reporting. The browser client needs to have increased functionality to match the rich client. Verify other vendor's claims about ease of upgrades. Incident, Change, Problem and Knowledge Management. Automated updates to staff and our customers as well as the customer surveys have helped our team rally around goals and bolster our image. "Easy and flexible (no need to look further)"
Easy of use and flexibility to quick change or adjust items with basic knowledge. While it is helpful to have an IT person do some of the design work, it is not required and you can break up the tasks to no IT employees. Dashboards for interactive reports and managing incoming requests are easy to make and adjust as your business needs change. Upgrades too are also fairly painless. Stop looking, this is the correct product for any industry. This is our ERP of IT (Incidents, Service Requests, Portal, Change, Project, Asset Management, Software Management-All in multiple customer languages for our employees) and we are now expanding beyond IT to other business processes such as HR, Finance, etc. "Easy to use software with great results"
As a Blackboard support specialist, I appreciate the reporting features more than anything else. It's really easy to customize and pull detailed information in exactly the way I want it. Sometimes there are lags and glitches, requiring a re-start. No apparent fix. Doesn't really cause a huge problem, aside from taking up time. Cherwell saves valuable time for both the IT desk and the client with its self-service portal. Training requests can now be automatically scheduled without a phone call. This frees up the training staff to do more training and less scheduling. Cherwell is a good software to record informations and details that we collected when we work with a client. The ease of use is what I like about. The layout of Cherwell is not very good as there is no way to just use keyboard to complete the whole ticket. One of the column has to be clicked by mouse, which slows down the process of creating a ticket. Good for keeping track with the work. This review is specific to the hosted implementation my company uses. It may have all the functionality the company needs, but it is a productivity killer. It actually has a Web UI, unlike some other service desk software I have used, even if the functionality is limited. It seems to be very stable, not crashing regularly or acting buggy. The Web UI does not have all of the functionality of the native client, which might be fine for some shops, but that is becoming rare these days. In the CSR interface, you have to "Save" after every action, but in almost all cases, the Save button is at the top of the page, so it requires you scroll back to the top of the screen for every operation. This also results in slow page reloads very often. Clients seem unable to find/edit their incidents after the fact. Email sent from Cherwell loses all formatting, including correct word wrap. Updates to incidents are not emailed to users or CSRs in most cases (this may be configurable, not sure). This is by far the worst service desk software I have ever used, or at least my company's implementation is. Given that Cherwell did all of the actual implementation for us, that isn't saying much. The entire product is poorly designed. I recommend anyone considering this try something else, anything else. You'll probably be happier with something else if you actually plan to use the software. My impression is this software is purchased by people who just want to check functionality boxes. The only problem this solved was creating a single point of contact for users for all problems. Benefits realized include slower response times, unresolved incidents, and frustrated users and CSRs. My name is Jarod Greene and I am the Vice President of Product Marketing. What I would like to do is put you in touch with Carrie Cornella, who leads the Customer Experience team here at Cherwell. Carrie's job is to ensure our customers are successful with Cherwell products. In speaking with her, she expressed deep concern that you have had a poor experience with our technology. In her 8 years at Cherwell, she can only remember a handful of instances where someone has expressed such dissatisfaction, and in each case we were able to get to the root cause of the issues and resolve them. We would love an opportunity to speak with you directly to see if we can find a way to address the challenges you mention in your review. Learning about Cherwell Service Management? * We monitor all Cherwell Service Management reviews to prevent fraudulent reviews and keep review quality high. We do not post reviews by company employees or direct competitors. Validated reviews require the user to submit a screenshot of the product containing their user ID, in order to verify a user is an actual user of the product. Hi there! Are you looking to implement a solution like Cherwell?